Welcome to the luxury property blog of Cilo Marbella. We are an exclusive boutique agency specialising in the sales and rental of luxury residential properties in the Marbella area. 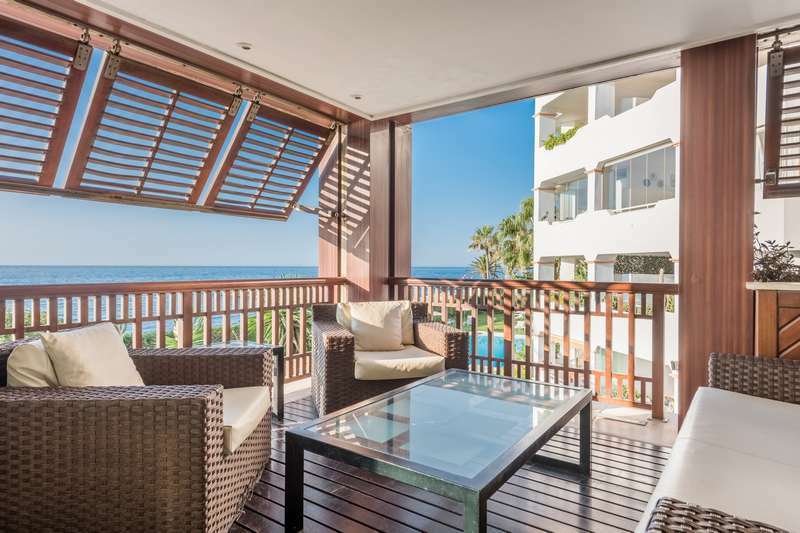 If you are looking to buy a luxury beachfront apartment near Puerto Banus, or perhaps a luxury villa in Nueva Andalucia, please continue reading. Puerto Banus located in the Nueva Andalucia area in the southwest of Marbella, just before San Pedro de Alcantara. It is a picturesque location with mountains behind the Mediterranean Sea. There is a wide range of exclusive shops and the opportunity to enjoy delicious eateries. Over the years, the port has grown enormously and now features a casino, shopping mall, marine observatory and a cinema. Nueva Andalucia is an international residential area with several famous golf courses. The most famous are Las Brisas Golf, Los Naranjos Golf and Aloha Golf. Nueva Andalucia has many shops, restaurants, bars and is particularly lively because many residents stay all year round. At night Puerto Banús becomes a lively place and it’s all about seeing and being seen. It is also the perfect place to spot the most expensive yachts and cars. Puerto Banús is home to some of the most exclusive and lively beach clubs such as Ocean Beach and Sala Beach (formerly Buddha Beach). The property in this area consists mainly of villas and apartments. Especially at Las Brisas golf, you can find luxury villas. At the top of Nueva Andalucia, you will find Magna Marbella, a popular luxury apartment development with a 9 hole golf course. Want to buy a modern apartment within walking distance of the centre and beach of Puerto Banus? Or perhaps a luxury new build villa? We have highlighted the best luxury properties in Puerto Banus, available in 2019. If you wish to receive more information, please use the hyperlinks to take a closer look at the properties. Or leave your details so our sales team will get in touch with you at the earliest opportunity. 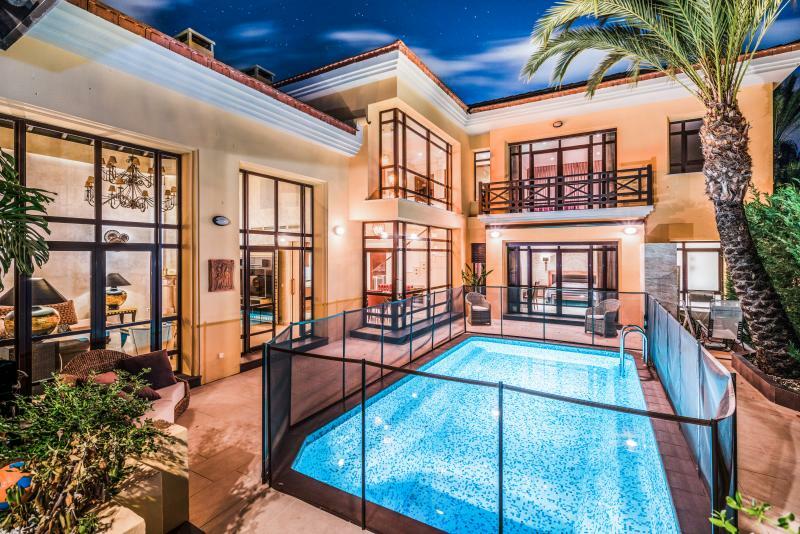 Dazzling and luxurious home set in an exceptional Mediterranean seaside region. Ideal for those who value the quality of life, security and the unbeatable privileged location of their extraordinary home. 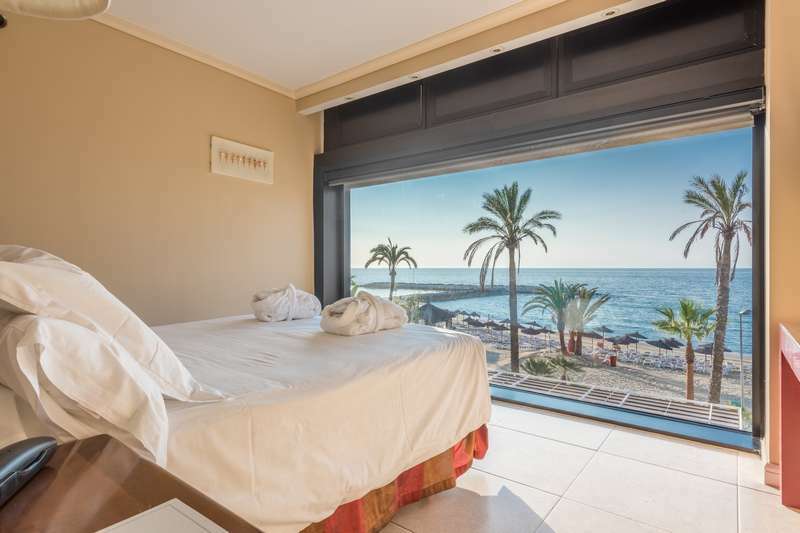 Here you can truly have everything that Marbella offers right on your doorstep, including the beach just 100m away and within walking distance of the famous Puerto Banus. Please feel free to let us know what your requirements are and we look forward to meeting with you in person on your next visit to Marbella. Built to the highest standards and beautifully presented in classic style with modern elements this exceptional property offers a welcoming hall, a bedroom suite, a guest toilet, a spacious living room with fireplace lounge, an amazing open plan dream-kitchen with massive island, top appliances and an impressive dining room. The upper floor features 3 bedrooms (one en suite) and 2 bathrooms of modern classic style with special flair created with elegant hues, luxurious touches and large mirrors in wooden frames. Staggering duplex penthouse on the beachfront in one of the most exclusive urbanisations in Puerto Banús. The complex has a fantastic level of security, tropical style garden, exercise centre, spa, recreations room, and so forth. This luxury home is distributed over two stories and completely revamped in 2014. The accommodation comprises, on entrance level: living/dining room with impressive sea views and access to a covered terrace, overlooking the tropical communal area, pool, and the Mediterranean Sea. Completely fitted, open plan kitchen. Exceptional beachfront loft in Guadalpín Banús, Puerto Banús (Marbella). 3 bedrooms, 3 en-suite restrooms and sublime sea views. The layout of the apartment has been changed by the present proprietors into 3 separate rooms, all with their very own private terraces. This is an excellent buy to let property. Accomplish maximum rental return from this great investment opportunity which is fully managed by Hotel Guadalpín Banús.